Section 1.01. Name. 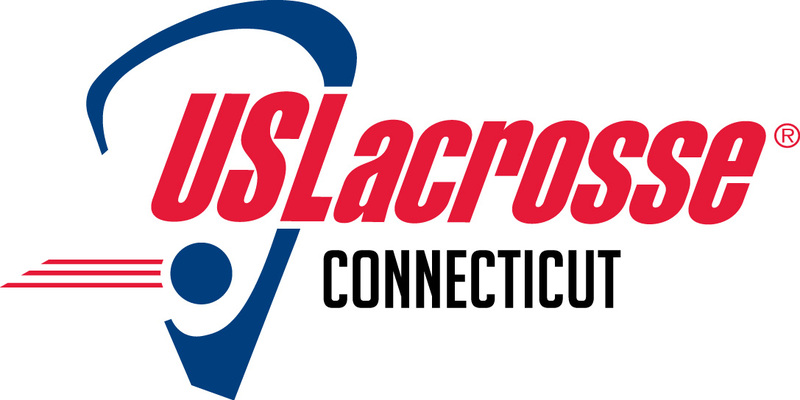 This Corporation, known as Connecticut Chapter of US Lacrosse, Inc., is a nonstock corporation established under the Connecticut Revised Nonstock Corporation Act (the “Nonprofit Corporation Law”). Section 1.02. Purpose. The purpose of the Corporation is to serve as a recognized chapter of US Lacrosse, Inc., a Maryland corporation (“US Lacrosse”), to promote and develop the sport of lacrosse at all levels in the chapter region defined for the Corporation by US Lacrosse (the “Chapter Region”), and to provide support and services to benefit members of US Lacrosse and the lacrosse community. The Corporation shall conduct its activities and programs in a manner consistent with the purposes of US Lacrosse and the terms and conditions of the Corporation’s Chapter Agreement with US Lacrosse (the “Chapter Agreement”), and shall endeavor to maintain its status as a recognized chapter of such organization. Section 1.03. Registered Office. The registered office of the Corporation shall be 81 Hope Street, Niantic Connecticut. The Corporation may have any number of other offices at such places as the board of directors may determine from time to time; provided the registered office shall be located in the state of incorporation. The address of the registered office may be changed from time to time by the board of directors upon notification to the appropriate state authorities. Section 1.04. Fiscal Year. The fiscal year of the Corporation shall begin on the first day of January in each year. Section 1.05. Members Same as Directors. For all purposes of these bylaws and the Nonprofit Corporation Law, the Corporation shall not have Members. Section 1.06. Associates. The board of directors may, by resolution, establish one or more classes of persons who shall be entitled to receive such benefits as the board may specify, including the right to receive newsletters or other mailings from the Corporation, sponsorship or other special recognition, and invitations to participate in or attend events sponsored by the Corporation. The board of directors may, by resolution, require such persons to pay dues or donations, perform services or make certain other contributions as a condition for the receipt of such benefits. Such persons may be called “associates,” “friends,” “patrons”, “sponsors,” “members” or other such designation, but in no event shall such persons be deemed to be Members of the Corporation for purposes of these bylaws or the Nonprofit Corporation Law. Section 2.01. Powers. The board of directors shall have full power to conduct, manage, and direct the business and affairs of the Corporation and all powers of the Corporation are hereby granted to and vested in the board of directors, subject to the provisions of the Nonprofit Corporation Law. Section 2.02. Qualification and Selection. All directors shall be of the age of majority in the State of Connecticut. Except in the case of vacancies, each class of directors shall be elected by the remaining directors then in office. Nominees for directors shall be limited to those persons nominated by the Nominating Committee and such additional nominees as may be nominated in writing by at least five members of US Lacrosse who reside within the Chapter at least 10 days prior to the date when directors are to be elected. When selecting nominees the Nominating Committee shall seek to identify and nominate persons who will help achieve or maintain balance on the board of directors with respect to various lacrosse constituencies in the Chapter Region (including, but not limited to, youth groups, high schools, colleges, clubs, leagues, and officials/referees), both on the men’s and women’s side of the game. Section 2.03. Director Emeritus. Nothing herein shall preclude the board of directors from awarding an honorary title of Director Emeritus to any person upon such terms and conditions of merit or contribution to the Corporation as the board of directors may from time to time deem appropriate; provided, however, that no Director Emeritus shall be entitled to exercise any of the rights, voting or otherwise, of the directors or officers of the Corporation. Directors Emeritus shall serve at the pleasure of the board of directors and shall be appointed by a vote of the board of directors and may be removed by a vote thereof. Section 2.04. Number of Directors. The board of directors shall consist of such number of directors not less than five (5) or more than twenty-five (25), as may be determined from time to time by resolution of the board of directors. Section 2.05. Vacancies. Vacancies among the board of directors, including vacancies resulting from (1) an increase in the number of directors, (2) the death, disability, resignation, leave of absence or removal of a director, or (3) the unavailability of any person willing to serve as director representing a certain lacrosse constituency, may, at the discretion of the board of directors, be left vacant or filled on an interim basis, in either case by vote of the majority of the remaining directors though less than a quorum at a meeting of the board of directors. Each person so elected shall be a director to serve for the balance of the unexpired term, subject to the right of the board of directors to vote to remove an interim director. Section 2.06. Removal of Directors. Any director may be removed from office, without assigning any cause, by a majority vote of the board of directors. If any director is removed, the resulting vacancy may be filled by the Board at any regular or special meeting. Section 2.07. Resignations; Leave of Absence. Any director may resign at any time by giving written notice to the Corporation. The resignation shall be effective upon receipt by the Corporation or at such subsequent time as may be specified in the notice of resignation. If any director resigns, the resulting vacancy may be filled by the board of directors at any regular of special meeting. A director may request a leave of absence by giving the Corporation written notice thereof, which leave shall become effective at the specified time in the discretion of the board of directors with limitation to its rights hereunder. Section 2.08. Place of Meeting. Meetings of the board of directors may be held at such place as the board of directors may from time to time appoint, or as may be designated in the notice of the meeting. Section 2.09. Regular Meetings. Regular meetings of the board of directors shall be held at least once every two months at such time and place as shall be designated from time to time by the board of directors. At such meetings, the directors shall transact such business as may properly be brought before the meeting, including approval of reports presented by the Treasurer, the Committees and others. The Treasurer or Assistant Treasurer shall deliver a Treasurer’s Report at each regular meeting covering the period since the previous regular meeting. The Secretary or Assistant Secretary will circulate copies of the minutes of the previous meeting prior to the next meeting. Notice of regular meetings need not be given unless otherwise required by law or these bylaws. Section 2.10. Special Meetings. Special meetings of the board of directors shall be held whenever called by the president or by two or more of the directors. Notice of each such meeting shall be given to each director by telephone or in writing at least 24 hours (in the case of notice by telephone) or 48 hours (in the case of notice by telefax or electronic transmission) or five days (in the case of notice by mail) before the time at which the meeting is to be held. Every such notice shall state the time and place of the meeting, but need not state the purpose of the special meeting. Section 2.11. Quorum, Manner of Acting, and Adjournment. A majority of the directors in office shall be present at each meeting in order to constitute a quorum for the transaction of business. Every director shall be entitled to one vote. Except as otherwise specified in the articles or these bylaws or provided by statute, the acts of a majority of the directors present at a meeting at which a quorum is present shall be the acts of the board of directors. In the absence of a quorum, a majority of the directors present and voting may adjourn the meeting from time to time until a quorum is present. The directors shall act only as a board and the individual directors shall have no power as such, except that any action which may be taken at a meeting of the directors may be taken without a meeting, if a consent or consents in writing setting forth the action so taken shall be signed by all of the directors in office and shall be filed with the secretary of the Corporation. Section 2.12. Participation in Board and Committee Meetings. One or more directors may participate in a meeting of the board of directors or a committee thereof by means of conference telephone or similar communications equipment by means of which all persons participating in the meeting can hear each other. Section 2.13. Organization of Board Meetings. Every meeting of the board of directors shall be presided over by the President or, in the absence of the President, the Vice President or, in the absence of the President and the Vice President, a chair chosen by a majority of the directors present. The Secretary or, in his or her absence, any Assistant Secretary or, in the absence of the Secretary and any Assistant Secretary, a person appointed by the chair, shall act as secretary. Section 2.14. Advisory Board. The board of directors may appoint one or more individuals to an advisory board (the “Advisory Board”) for the purpose of engaging individuals identified by the board of directors as having expertise in certain matters pertinent to the Corporation’s business to give reports and advice to the board of directors in such manner and with such frequency as the board of directors may determine, for the purpose of providing the board of directors with information that may assist the board of directors in making decisions that are in the best interest of the Corporation, provided that, no member of the Advisory Board shall be entitled to exercise any of the rights, voting or otherwise, of the directors or officers of the Corporation, and provided further that, the board of directors may remove any member of the Advisory Board at any time and for any reason. Section 2.15. Executive and Other Committees. The creation or filling of vacancies in the board of directors. The adoption, amendment or repeal of the bylaws. The amendment or repeal of any resolution of the board. Action on matters committed by the Bylaws or a resolution of the board exclusively to another committee of the board. b) Nominating Committee. The board of directors shall have a Nominating Committee which shall be formed in advance of each annual election of directors. The board of directors shall, by resolution adopted by a majority of the directors in office, designate at least three (3) directors to serve on such committee. The Nominating Committee shall identify and solicit candidates from, among other places, various lacrosse constituencies (including, but not limited to, youth groups, high schools, colleges, clubs, leagues and officials/referees) on both the men’s and women’s side of the game. c) Management Committee. The board of directors may have a Management Committee, which shall be chaired by a director and composed of three (3) officers and/or directors of the Corporation appointed by the President. The Management Committee shall be responsible for, among other things, financial audits, financial reporting to US Lacrosse as required by the Chapter Agreement, recommending amendments to these Bylaws, and insurance obligations. If the Corporation does not have a Management Committee and the foregoing responsibilities are not assigned to another committee of the board of directors, the Executive Committee shall be responsible to satisfy such responsibilities. d) Additional Committees. The board of directors may, by resolution adopted by a majority of the directors in office, establish the additional standing committees, including those similar to the names and function of the committees listed below. Each Committee of the Board shall serve at the pleasure of the Board. The board of directors may also establish such other committees as the board of directors may deem appropriate from time to time, including ad hoc committees to investigate grievances and complaints submitted to the board of directors and resolve or otherwise make recommendations to resolve such grievances or complaints. Each committee shall consist of two or more directors of the Corporation. In the absence of specific requirements herein, the President shall appoint all Committee chairs and members and any alternate members of each Committee. e) Powers of Committees. No committee of the board of directors, other than the Executive Committee, shall, pursuant to resolution of the board of directors or otherwise, exercise any of the powers or authority vested by these bylaws or the Nonprofit Corporation Law in the board of directors as such, but any other committee of the board of directors may make recommendations to the board of directors or Executive Committee concerning the exercise of such powers and authority. f) Continuous Duty. The establishment of any committee of the board of directors and the delegation thereto of power and authority shall not alone relieve any director of the fiduciary duty of such director to the Corporation. g) Quorum for Committees. A majority of the directors in office designated to a committee shall be present at each meeting to constitute a quorum for the transaction of business and the acts of a majority of the directors in office designated to a committee shall be the acts of the committee. h) Miscellaneous Committee Matters. Except as otherwise provided herein, each Committee shall (1) be chaired by a director appointed by the President, (2) consist of such numbers of directors or other persons as these Bylaws shall require or, in the absence of such requirement herein, as the President shall designate; and (3) establish its own operating procedures. Each Committee shall keep regular minutes of its proceedings and report the same to the board of directors at each regular board meeting. Each Committee shall determine its dates, times and places of meetings. Section 3.01. Notice, What Constitutes. Whenever written notice is required to be given to any person under the provisions of the articles, these bylaws, or the Nonprofit Corporation Law, it may be given to the person, either personally or by sending a copy thereof by first class or express mail, postage prepaid, or courier services, charges prepaid, or by facsimile or electronic transmission to his or her address (or to his or her facsimile number or electronic mail address) supplied by the person to the Corporation for the purpose of notice. If the notice is sent by mail or courier service, it shall be deemed to have been given when deposited in the United States mail or with a courier service for delivery to that person or, in the case of facsimile or electronic mail, when sent unless the facsimile results in a failed confirmation report received by the sender or the electronic mail is returned as undeliverable. A notice of meeting shall specify the place, day and hour of the meeting and any other information required by law or these bylaws. Section 3.02. Waivers of Notice. a) Whenever any written notice is required to be given under the provisions of the articles, these bylaws, or the Nonprofit Corporation Law, a waiver thereof in writing, signed by the person or persons entitled to the notice, whether before or after the time stated therein, shall be deemed equivalent to the giving of the notice. Except as otherwise required by Section 6.05, neither the business to be transacted at nor the purpose of a meeting need be specified in the waiver of notice of such meeting. b) Attendance of a person at any meeting shall constitute a waiver of notice of the meeting, except where a person attends a meeting for the express purpose of objecting, at the beginning of the meeting, to the transaction of any business because the meeting was not lawfully called or convened. Section 3.03. Modification of Proposal Contained in Notice. Whenever the language of a proposed resolution is included in a written notice of a meeting required to be given under the articles or these bylaws or the Nonprofit Corporation Law, the meeting considering the resolution may without further notice adopt it with such clarifying or other amendments as do not enlarge its original purpose. Section 3.04. Exception to Requirement of Notice. Wherever any notice or communication is required to be given to any person under the provisions of the articles or these bylaws, or the Nonprofit Corporation Law or by the terms of any agreement or other instrument or as a condition precedent to taking any corporate action, and communication with that person is then unlawful, the giving of the notice or communication to such person shall not be required and there shall be no duty to apply for a license or other permission to do so. Section 3.05. Conference Telephone Meetings. One or more persons may participate in a meeting of the board or a committee of the board by means of conference telephone or similar communications equipment by means of which all persons participating in the meeting can hear each other. Participation in a meeting pursuant to this section shall constitute presence in person at the meeting. Section 4.01. Number, Qualifications and Designation. a) The officers of the Corporation shall be a President, a Vice President, a Secretary, a Treasurer, and such other officers as may be designated by the board of directors. Any number of offices may be held by the same person. Only directors of the Corporation shall be eligible to serve as officers. The board of directors may elect from among the members of the board a Chairman of the board who shall also be an officer of the Corporation. b) In lieu of the standards of conduct otherwise provided by law, officers of the Corporation shall be subject to the same standards of conduct, including standards of care and loyalty and rights of justifiable reliance, as shall at the time be applicable to directors of the Corporation. An officer of the Corporation shall not be personally liable, as such, to the Corporation for monetary damages for any action taken, or any failure to take any action, unless the officer has breached or failed to perform the duties of his or her office under the articles of the Corporation, these bylaws, or the applicable provisions of law and the breach or failure to perform constitutes self-dealing, willful misconduct or recklessness. The provisions of this subsection shall not apply to the responsibility or liability of an officer pursuant to any criminal statute or for the payment of taxes pursuant to local, state or federal law. Section 4.02. Election and Term of Office. The officers of the Corporation shall be elected every other year by the board of directors, and each such officer shall hold office until the second annual organization meeting of directors following such election and until a successor shall have been elected and qualified, or until death, resignation, leave of absence or removal. No officer shall serve more than two (2) consecutive two (2) year terms of office. Notwithstanding anything contained herein to the contrary, the term limits set forth herein may be waived by US Lacrosse under unusual circumstances in response to a written request made by this Corporation to US Lacrosse, provided that any such written request shall specify the circumstances that make it difficult for this Corporation to maintain an effective governance structure while at the same time enforcing the term limits that are applicable to the officers of the Corporation. Such special circumstances could include, without limitation, the inability of this Corporation after diligent efforts by the Nominating Committee to identify qualified individuals to serve as officers of the Corporation. Any determination to make any such written request to US Lacrosse for a waiver of the term limits applicable to officers shall be made by the Executive Committee and shall include such additional information as US Lacrosse may request. In addition, if the term of office of an officer of the Corporation extends beyond his or her term of office as a Director of the Corporation as established pursuant to Section 2.05 above, such officer shall be elected to serve as a Director for a second consecutive three (3) year term if such officer is not then subject to the term limits set forth in Section 2.05 above. If such officer is subject to the term limits set forth in Section 2.05 such officer shall nevertheless continue to serve as a Director for the remainder of his or term as an officer without the necessity of this Corporation making any request to US Lacrosse for a waiver of the term limits under such circumstances. Section 4.03. Removal. Any officer, committee, employee or other agent of the Corporation may be removed, with or without cause, by the board of directors or other authority which elected, retained or appointed such officer, committee or other agent whenever in the judgment of such authority the best interests of the Corporation will be served thereby, but such removal shall be without prejudice to the contract rights of any person so removed. Section 4.04. Vacancies. A vacancy in any office because of death, resignation, leave of absence, removal, disqualification, or any other cause, shall be filled by the board of directors, and if the office is one for which these bylaws prescribe a term, shall be filled for the unexpired portion of the term. Section 4.05. General Powers. All officers of the Corporation, as between themselves and the Corporation, shall have such authority and perform such duties in the management of the Corporation as may be determined by resolutions or orders of the board of directors, or, in the absence of controlling provisions in resolutions or orders of the board of directors, as may be provided in these bylaws. Section 4.06. The President. The President shall be the chief executive officer of the Corporation and shall have general supervision over the activities and operations of the Corporation, subject, however, to the control of the board of directors and the Chairman. The President shall sign, execute, and acknowledge, in the name of the Corporation, deeds, mortgages, bonds, contracts or other instruments, authorized by the board of directors, except in cases where the signing and execution thereof shall be expressly delegated by the board of directors, or by these bylaws, to some other officer or agent of the Corporation; and, in general, shall perform all duties incident to the office of President, and such other duties as from time to time may be assigned by the board of directors or the Chairman. Section 4.07. The Vice President. The Vice President shall perform the duties of the President in the absence of the President and such other duties as may from time to time be assigned to him or her by the board of directors, the Chairman or the President. Section 4.08. The Secretary. The Secretary shall record all the votes of the directors and the minutes of the meetings of the board of directors and of committees of the board in a book or books to be kept for that purpose; shall see that notices are given and records and reports properly kept and filed by the Corporation as required by law; shall be the custodian of the seal of the Corporation and see that it is affixed to all documents to be executed on behalf of the Corporation under its seal; and, in general, shall perform all duties incident to the office of Secretary, and such other duties as may from time to time be assigned by the board of directors, the Chairman or the President. Section 4.09. The Treasurer. The Treasurer shall have or provide for the custody of the funds or other property of the Corporation; shall collect and receive or provide for the collection and receipt of moneys earned by or in any manner due to or received by the Corporation; shall deposit all funds in his or her custody as treasurer in such banks or other places of deposit as the board of directors may from time to time designate; shall, whenever so required by the board of directors, render an account showing all transactions as Treasurer, and the financial condition of the Corporation; and, in general, shall discharge such other duties as may from time to time be assigned by the board of directors, the Chairman or the President. Section 5.01. No Compensation; Reimbursement for Expenses. The board of directors shall serve without compensation, but may by resolution authorize the payment to a director of actual reasonable expenses incurred in carrying out his or her duties as a director, including expenses incurred in connection with attendance at meetings of the board of directors and committees. Subject to Article VI below relating to conflicts of interest, and to the provisions of the Conflict of Interest Policy of this Corporation, this section shall not preclude any director from serving the Corporation in any other capacity as an officer, agent, employee or otherwise and receiving compensation for such service. b) The contract or transaction is fair as to the Corporation as of the time it is authorized, approved, or ratified by the board. Interested Directors may be counted in determining the presence of a quorum at a meeting of the board which authorizes the contract or transaction, but they cannot participate in any discussion or vote on the matter and must leave the meeting when the matter is being discussed. c) A committee of the board upon which the director does not serve, duly designated in accordance with law, as to matters within its designated authority, which committee the director reasonably believes to merit confidence. Section 7.02. Presumption. Absent breach of fiduciary duty, lack of good faith, or self-dealing, actions taken by the board, committees of the board, or by individual directors, or any failure to take any action, shall be presumed to be in the best interests of the Corporation. Section 7.03. Notation of Dissent. A director who is present at a meeting of the board, or of a committee of the board, at which action on any corporate matter is taken shall be presumed to have assented to the action taken unless his or her dissent is entered in the minutes of the meeting or unless the director files a written dissent to the action with the Secretary of the meeting before the adjournment thereof or transmits the dissent in writing to the Secretary immediately after the adjournment of the meeting. The right to dissent shall not apply to a director who voted in favor of the action. Nothing in this section shall bar a director from asserting that minutes of the meeting incorrectly omitted his or her dissent if, promptly upon receipt of a copy of the minutes, the director notifies the Secretary, in writing, of the asserted omission or inaccuracy. Section 8.01. Limitation on Liability of Directors. A director shall not be personally liable, as such, for monetary damages for any action taken or any failure to take any action as a Director unless: (a) the director has breached or failed to perform the duties of his or her office under the Nonprofit Corporation Law; and (b) the breach or failure to perform constitutes self-dealing, willful misconduct, or recklessness. This Section shall not apply to (1) the responsibility or liability of a director pursuant to any criminal statute, or (2) the liability of a director for the payment of taxes pursuant to federal, state, or local law. Any repeal or amendment of this section shall be prospective only and shall not increase, but may decrease, a director’s liability with respect to actions or failures to act occurring prior to such change. Section 8.02. Director and Officer Insurance. The Corporation shall purchase and maintain insurance on behalf of any person who is or was a director or officer of the Corporation or is or was serving at the request of the Corporation as a director or officer of another domestic or foreign corporation for profit or not-for-profit, partnership, joint venture, trust, or other enterprise against any liability asserted against him or her and incurred by him or her in any such capacity, or arising out of his or her status as such, whether or not the Corporation would have the power to indemnify him or her against that liability under the Nonprofit Corporation Law. The Corporation’s payment of premiums with respect to such insurance coverage shall be provided primarily for the benefit of the Corporation. To the extent that such insurance coverage provides a benefit to the insured person, the Corporation’s payment of premiums with respect to such insurance shall be provided in exchange for the services rendered by the insured person and in a manner so as not to constitute an excess benefit transaction under section 4958 of the Internal Revenue Code of 1986, as amended. Section 9.01. Representative Defined. For purposes of this Article, “representative” means any director or officer of the Corporation. Section 9.02. Third-Party Actions. The Corporation shall indemnify any representative who was or is a party or is threatened to be made a party to any threatened, pending or completed action or proceeding, whether civil, criminal, administrative or investigative (other than an action by or in the right of the Corporation), by reason of the fact that he or she is or was a representative of the Corporation, or is or was serving at the request of the Corporation as a director or officer of another domestic or foreign corporation for profit or not-for-profit, partnership, joint venture, trust, or other enterprise, against expenses (including attorneys’ fees), judgments, fines, and amounts paid in settlement actually and reasonably incurred by him or her in connection with the action or proceeding if he or she acted in good faith and in a manner he or she reasonably believed to be in, or not opposed to, the best interests of the Corporation and, with respect to any criminal proceeding, had no reasonable cause to believe his or her conduct was unlawful. The termination of any action or proceeding by judgment, order, settlement, or conviction or upon a plea of nolo contendere or its equivalent shall not of itself create a presumption that the person did not act in good faith and in a manner that he or she reasonably believed to be in, or not opposed to, the best interests of the Corporation and, with respect to any criminal proceeding, had reasonable cause to believe that his or her conduct was unlawful. Section 9.03. Derivative and Corporate Actions. The Corporation shall indemnify any representative who was or is a party or is threatened to be made a party to any threatened, pending or completed action by or in the right of the Corporation to procure a judgment in its favor by reason of the fact that he or she is or was a representative of the Corporation, or is or was serving at the request of the Corporation as a director or officer of another domestic or foreign corporation for profit or not-for-profit, partnership, joint venture, trust, or other enterprise, against expenses (including attorneys’ fees) actually and reasonably incurred by him or her in connection with the defense or settlement of the action if he or she acted in good faith and in a manner he or she reasonably believed to be in, or not opposed to, the best interests of the Corporation. Indemnification shall not be made under this section in respect of any claim, issue or matter as to which the person has been adjudged to be liable to the Corporation unless and only to the extent that the court of common pleas of the judicial district embracing the county in which the registered office of the Corporation is located or the court in which the action was brought determines upon application that, despite the adjudication of liability but in view of all the circumstances of the case, such person is fairly and reasonably entitled to indemnity for such expenses that the court of common pleas or other court shall deem proper. b) If such a quorum is not obtainable or if obtainable and a majority vote of a quorum of disinterested directors so directs, by independent legal counsel in a written opinion. Section 9.05. Advancing Expenses. The Corporation shall pay expenses (including attorneys’ fees) incurred in defending any action or proceeding referred to in Section 9.02 or Section 9.03 in advance of the final disposition of the action or proceeding upon receipt of any undertaking by or on behalf of the representative to repay the amount if it is ultimately determined that he or she is not entitled to be indemnified by the Corporation as authorized in this Article or otherwise. b) The Board determines that under the circumstances indemnification would constitute an excess benefit transaction under section 4958 of the Internal Revenue Code of 1986, as amended. Section 9.07. Duration and Extent of Coverage. The indemnification and advancement of expenses provided by or granted pursuant to this Article shall, unless otherwise provided when authorized or ratified, continue as to a person who has ceased to be a representative of the Corporation and shall inure to the benefit of the heirs and personal representatives of that person. Section 9.08. Reliance and Modification. Each person who shall act as a representative of the Corporation shall be deemed to be doing so in reliance upon the rights provided by this Article. The duties of the Corporation to indemnify and to advance expenses to a representative provided in this Article shall be in the nature of a contract between the Corporation and the representative. No amendment or repeal of any provision of this Article shall alter, to the detriment of the representative, his or her right to the advance of expenses or indemnification related to a claim based on an act or failure to act which took place prior to such amendment or repeal. a) The assets and liabilities, including the trust funds, of the Corporation as of the end of the fiscal year immediately preceding the date of the report. b) The principal changes in assets and liabilities, including the trust funds, during the year immediately preceding the date of the report. c) The revenue or receipts of the Corporation, both unrestricted and restricted to particular purposes, for the year immediately preceding the date of the report, including separate data with respect to each trust fund held by or for the Corporation. d) The expenses or disbursements of the Corporation, for both general and restricted purposes, during the year immediately preceding the date of the report, including separate data with respect to each trust fund held by or for the Corporation. Section 10.02. Signed Chapter Agreement. The President shall sign the Chapter Agreement on an annual basis, reaffirming the Corporation’s duties, rights and prerogatives as a US Lacrosse chapter. Section 10.03. Other Information. The Corporation shall provide US Lacrosse with such other information as may be required by the Chapter Agreement, including, without limitation, the following: (1) copies of tax returns and filings, (2) a list of the board of directors and members of the committees of the board of directors (together with contact information, term of office), (3) certificates of insurance, evidencing the Corporation’s insurance coverages (including Directors and Officers Liability Insurance), and relevant participation survey information requested by US Lacrosse regarding lacrosse organizations and activities in the Chapter Region, including those that are not affiliated with US Lacrosse. Section 11.01. Checks. All checks and notes shall be signed by such one or more officers or employees of the Corporation as the board of directors may from time to time designate. No expenditure of $500 or more and no commitment to expend such amount shall be made without the prior approval of the board of directors. Section 11.02. Contracts. Except as otherwise provided in these bylaws, the board of directors may authorize any officer or officers, agent or agents, to enter into any contract or to execute or deliver any instrument on behalf of the Corporation, and such authority may be general or confined to specific instances. Section 11.03. Deposits. All funds of the Corporation shall be deposited from time to time to the credit of the Corporation in such banks, trust companies, or other depositaries as the board of directors may approve or designate, and all such funds shall be withdrawn only upon checks signed by such one or more officers or employees of the Corporation as the board of directors shall from time to time designate. Section 11.04. Amendment of Bylaws. These bylaws may be amended or repealed, or new bylaws may be adopted, by vote of a majority of the board of directors of the Corporation in office at any regular or special meeting of directors. Such proposed amendment, repeal or new bylaws, or a summary thereof, shall be set forth in any notice of such meeting, whether regular or special.